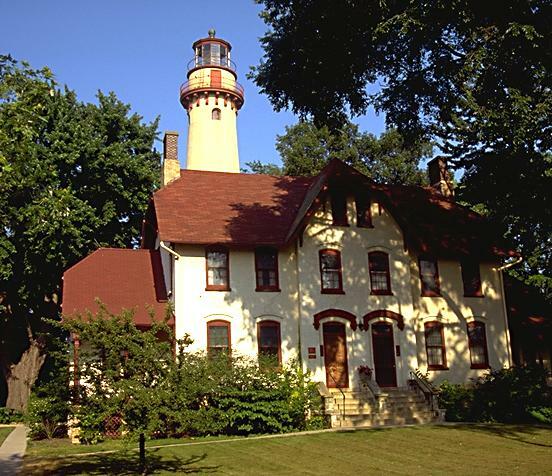 Grosse Point is one of the finest lighthouse structures on the Great Lakes. 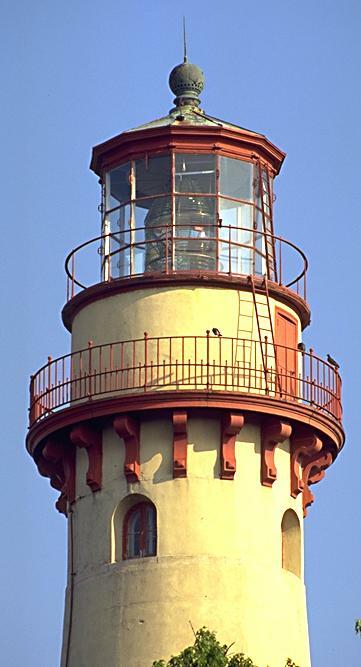 Built in 1873, the 113 ft. tower is one of the tallest on the lakes, and its Second Order lens is the strongest on the American side of the lakes. Grosse Pt. sits on the northern edge of the Northwestern University campus, next to a small beachfront park. The tower and keeper's house are painted a creamy mustard color and trimmed in red. The grounds are always open, and you can tour the tower and the maritime center in the keeper's house on weekends during summer.